After several years of research and development, we are absolutely confident in our solution. To prove that, we are not afraid to search for the most demanding challenges worldwide. The metro lines of Budapest transporting more than one million passengers every day. More than a year ago, we started to coat all handrail of all escalators at the 3 main lines. What makes this project unmatched? The Resysten WhiteTitan exceeded all expectations. 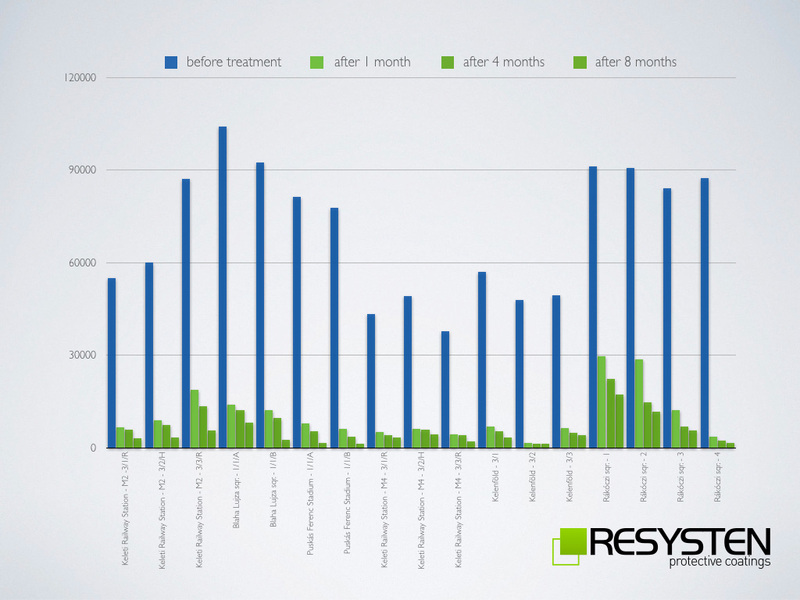 At the chart below, you can see the breathtaking results measured 1, 4, and even 8 months after the treatment – without loosing any effectiveness.